Looking for an alternative to Valentine's? Well look no further! This Valentine's weekend we will be treating guests to a filthy night of pomp and splendour as the perfect antidote to the sickly sweetness of the season. Retreat from the gazing doe-eyed couples of Valentine's weekend with a screening of the cult classic with FULL shadow cast line-up performing, for your entertainment, over 20 scenes from the film. 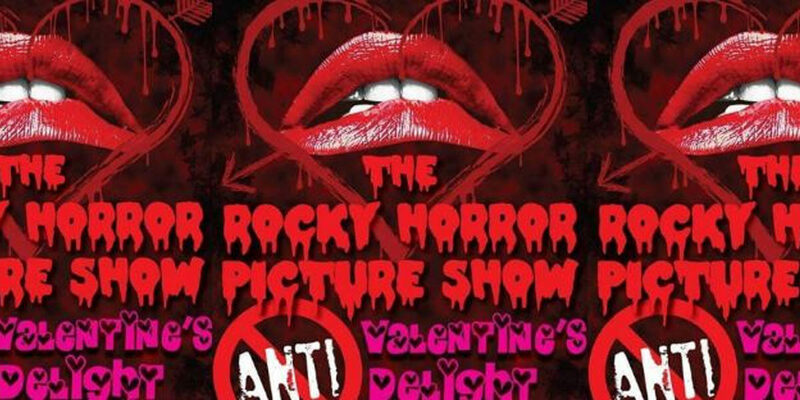 The Rocky Horror Picture Show Ireland promises one unforgettable night. From the complimentary buns and coco in the queue outside, to the obligatory audience props awaiting your participation. Prizes for best dressed, guest performances, fire performers and more – our Anti-Valentine's Show is one hell of a shindig. And remember this Valentine's with us, NO pants and NO partners necessary!!! Love may be in the air, but we can only smell lust..!